Joplin area's hottest cover band! 80 and Out is a 4-piece party band that plays hits from the 80's-today. Their wide range of music includes songs from the likes of Van Halen, Bruno Mars, Styx, Lady Gaga, Walk the Moon, Michael Jackson, and more. Their material can be for all ages, which makes the group perfect for any occasion. Book 80 and Out today! I saw this delightful band at Turdleheads in Joplin. These guys literally rocked the roof off the place (it was a retractible roof, but still valid)! It's hard to believe they don't do international tours. I have had the pleasure of seeing this group perform on several occasions! They are a go to group for a good time. Whether you are booking a wedding, a charity event, a birthday party or any other celebration give this group your consideration. Their energy, sound and song variety are fantastic! They will have everyone either on their feet dancing or singing along! 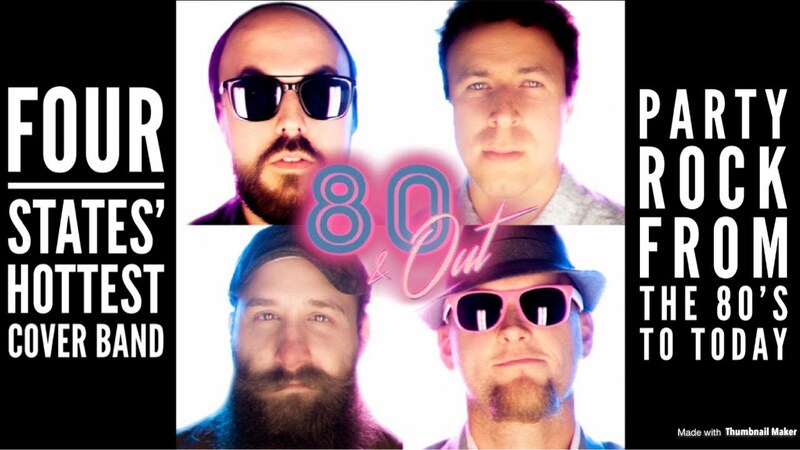 80 & Out is a great band that is fun to listen to. We have a great time watching them perform and always look forward to their next gig. I would highly recommend them for any event because they are professional and passionate about each performance being the best. 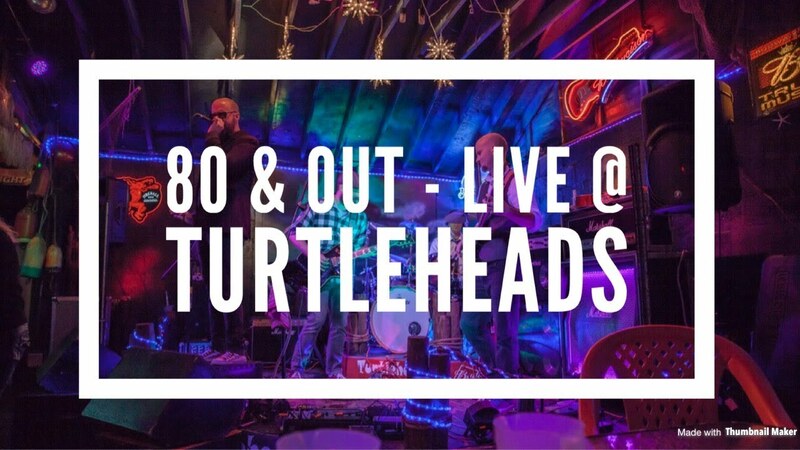 We saw 80 and Out last weekend at Turtleheads and they were amazing. They are great musicians with a great look. I was surprised with how many contemporary songs they played. Highly recommended. Those coming to see 80 and Out can expect a fun night of partying. A fun band that brings their A-game every night. When 80 and Out plays they come with intentions to rock and do not let up until the night is over! 80 & Out is a 4-piece cover band that plays hits from the 80's-today. We are well known for playing shows on a consistent basis in the four states area. 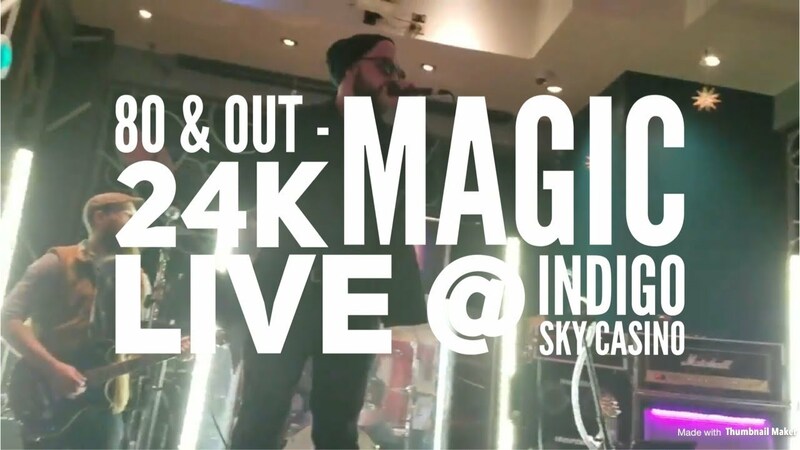 Our previous bookings include Indigo Sky Casino, Downstream Casino, Kansas Crossing Casino, Grand Lake Casino, JB’s, Turtleheads, Redings Mill, corporate events, and many more. At each location we have received great audience feedback and have been asked to return many times. We play a wide variety of rock and pop music from 80s - today. In addition, we also provide some of the highest quality of lights and sound in the area. Our material can be for all ages, which makes the group perfect for any occasion. Music choices range from Van Halen, Bruno Mars, Poison, 2Pac, Backstreet Boys, and many more. Nothing is off the table! 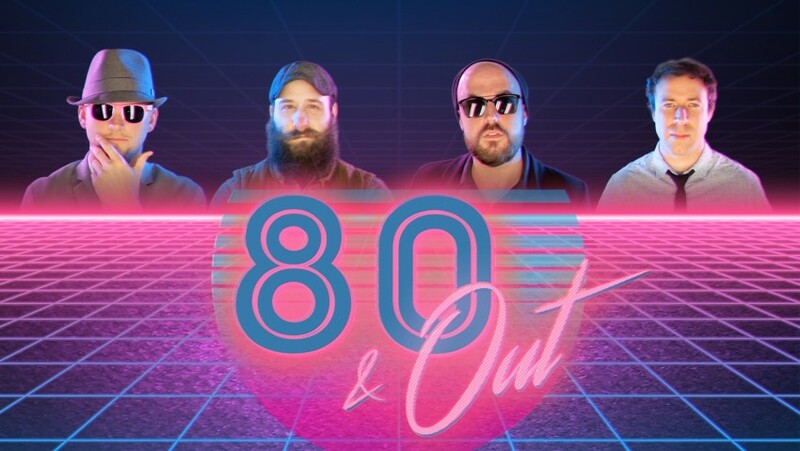 80 & Out includes the following members: Anthony Ficken (lead vocalist, lead guitarist), Nathan Ward (vocals, guitarist), Dan Stanley (bassist), Ian Derrickson (percussionist), . General power is all that is needed. 80 and Out provides all lighting, sound, and equipment necessary for your event.